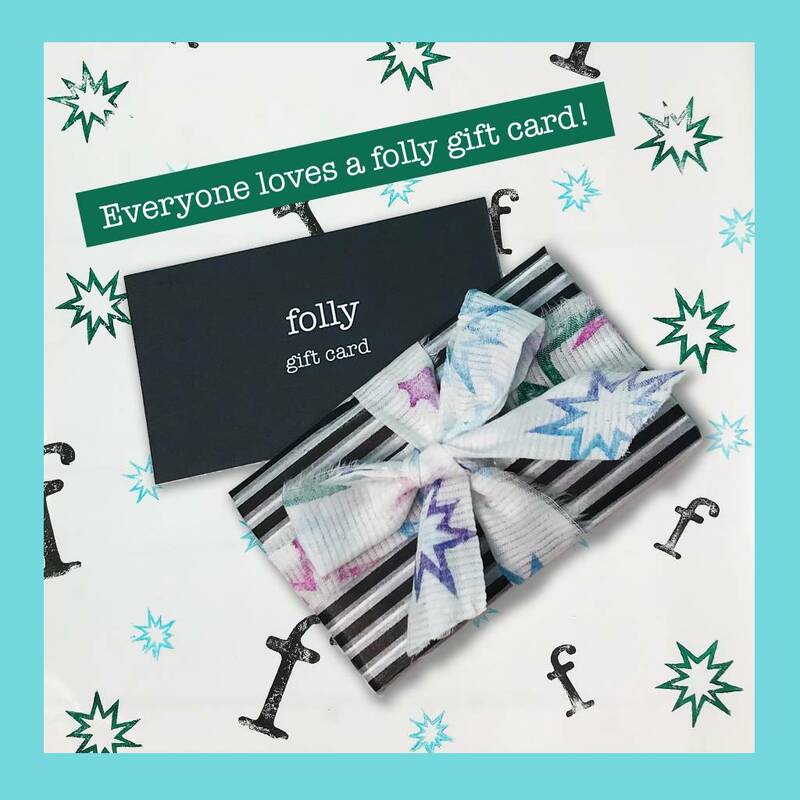 Everyone loves a FOLLY gift certificate! 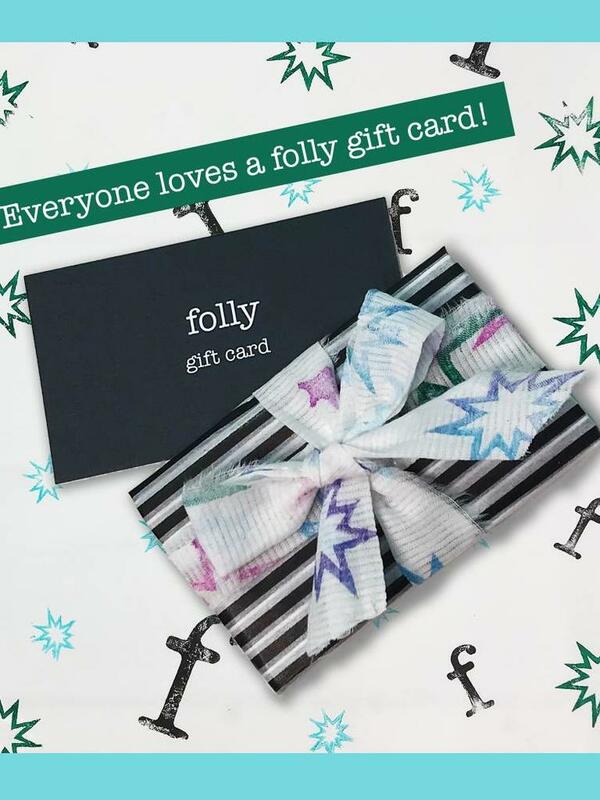 Seriously, ladies walk in and announce it, "I GOT A GIFT CERTIFICATE". It's so cute. If there is a specific amount that you would like to give but it is not listed, just call us 503-954-1334 and we are happy to do this over the phone in any amount you would like to give. Please include the name of the recipient on your order so that we can put it in the system under their name. Thanks and don't hesitate to reach out if you have a special request attached to this gift... we want to make it special too!